* Description:... 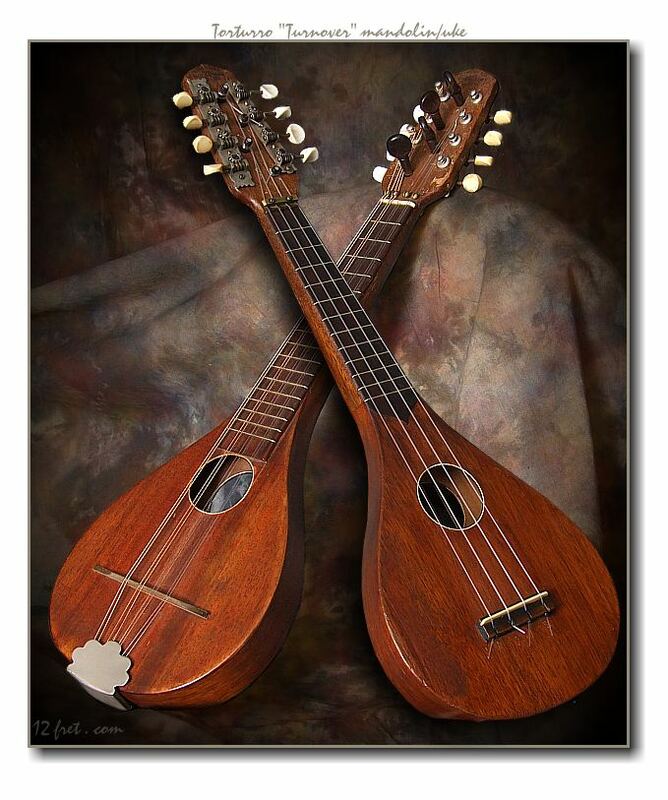 Yes, the photo looks like two instruments (through the magic of photoshop) but this one is called a "Turnover" because it is a ukulele on the one side ... flip it over to where the back would normally be and ... it is a mandolin!!! The ebony friction pegs on the peghead tune the nylon uke strings on the one side of the neck, and the metal geared machine heads tune the mandolin on the other side ... what a cool little instrument! * Pricing:... $650.00 Canadian dollars (approx.$580.US$) with canvas carry bag. I have absolutely no connection to the instrument I just thought it was reasonably priced and unique. Then again, what do I know?